I'm glad that sometimes I'm required to dress up, because if I weren't, you'd see me in jeans and t-shirts all day, every day! And for good reason--you don't really have to think too hard to put on a t-shirt and go! 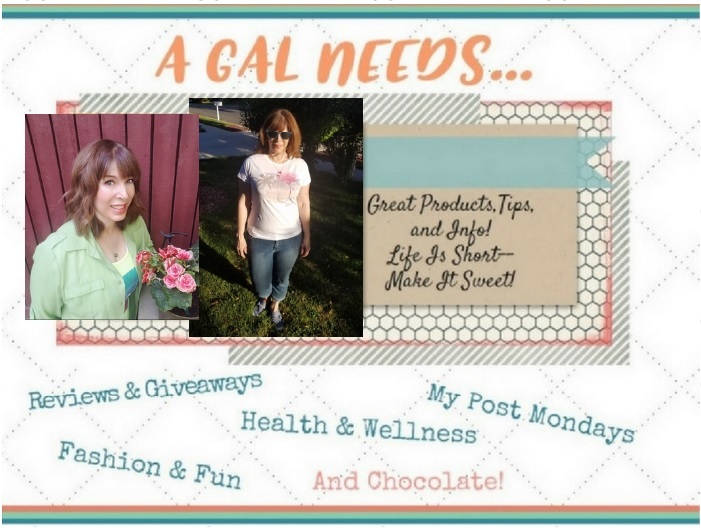 This site receives product samples to facilitate honest and fair reviews. Sponsor affiliation does not influence my opinion. Thanks for your support! The look is pretty much appropriate wherever you end up. And although I think t-shirts will never go out of style, t-shirts are having a resurgence of sorts because there are some really attractive-looking tees out there, not to mention comfort! Comfort: That's where bamboo t-shirts come in! They are so soft and comfy! Especially the ones from Cariloha! Oh my gosh--ComfortCity.com! (just kidding, that's cariloha.com) Not to mention anti-bacterial and odor resistant! Cariloha has a wide range of tees made from natural and sustainable materials that let you stay comfortable and fresh all day long! And they have lots of styles to choose from--crew necks, V-necks, long sleeve, classic tees, dolmans, scoop tees, and more! 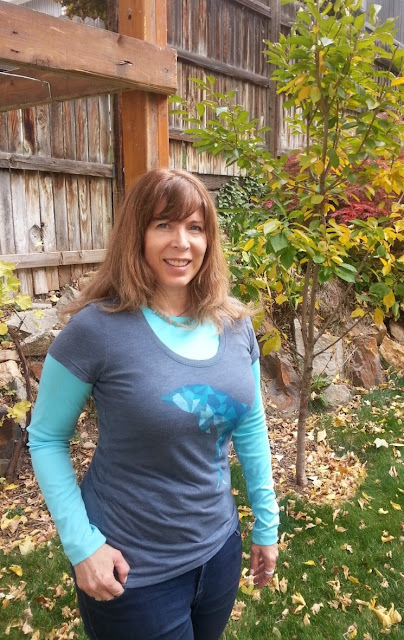 Cariloha tees are made from a proprietary blend of bamboo fabric and organic cotton! Bamboo holds onto it's shape longer and better and even has thermal regulating properties! 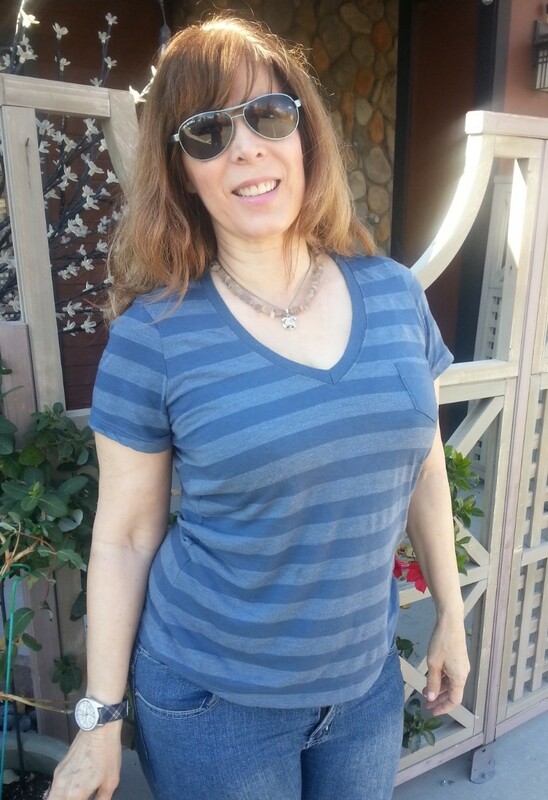 I love my pocket tee and right now, several colors of this same design are on sale! I have always loved dolphins, and I found the perfect tee to show my love for them! 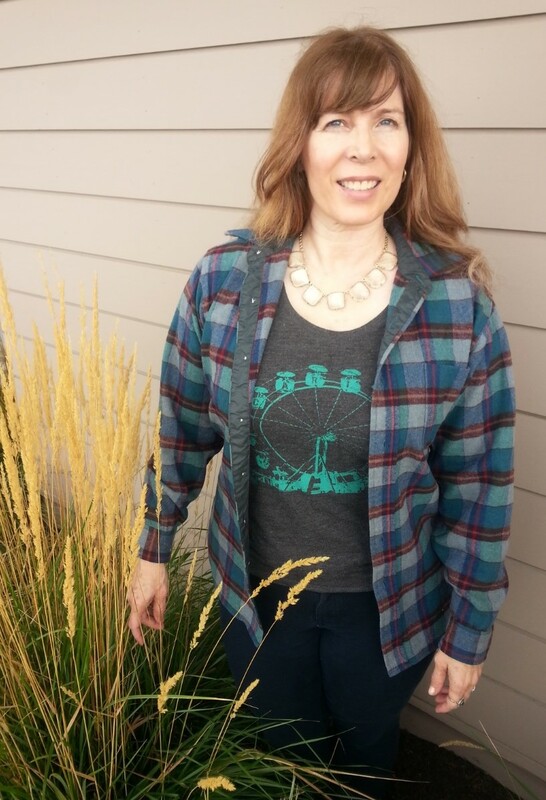 This black tee with the ferris wheel print is so much fun! Even when the weather gets cold, you can still have fun and make a tee work! 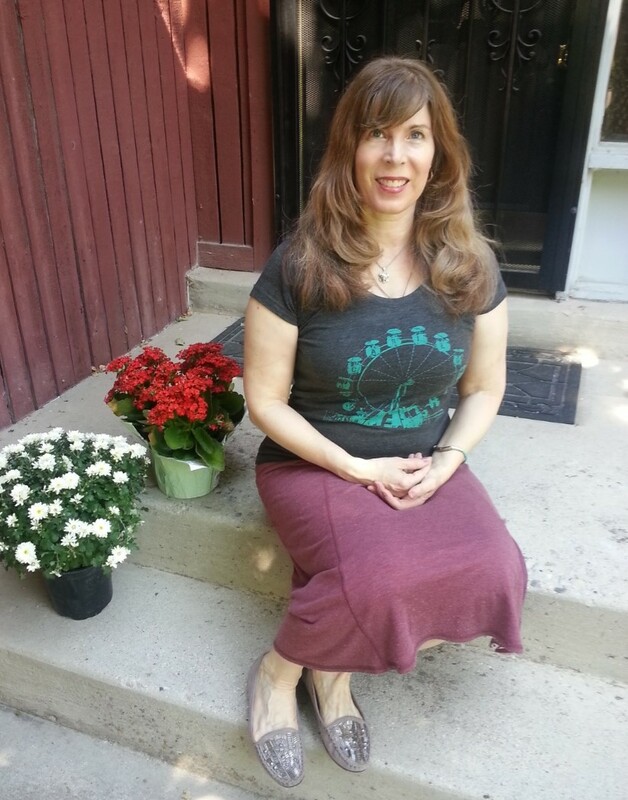 A bamboo tee would make a great gift for anyone who loves the combination of comfort and style! Go check Cariloha out today!